Right, with my crisis being over, it is high time I did some more work on my Peacemaking collection. I’ve already shown you bits of the Aland Islands, Abdullah of Jordan and Konrad Adenauer. You will have guessed the logic behind my choice of topics by now: I’m working down the alphabetical index of the book I'm using as a basis for my collection. 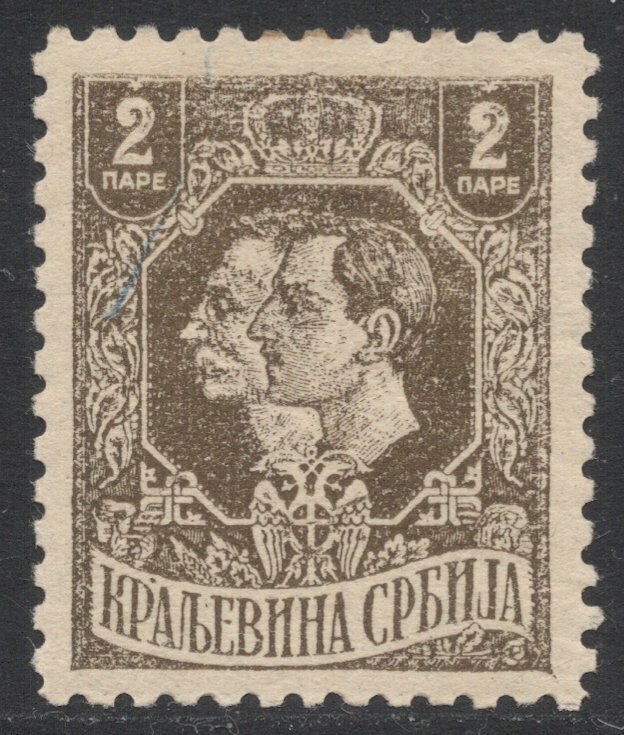 Next up is actually Albania, but seeing that this will hopefully appear in the July 2013 issue of Stamp Magazine, I’ll skip that one for now and move on to Alexander, Prince of Yugoslavia. Here we have him in all his glory. I like to include a contemporary portrait postcard of any persons popping up in the index and am quite fond of this enigmatic one. 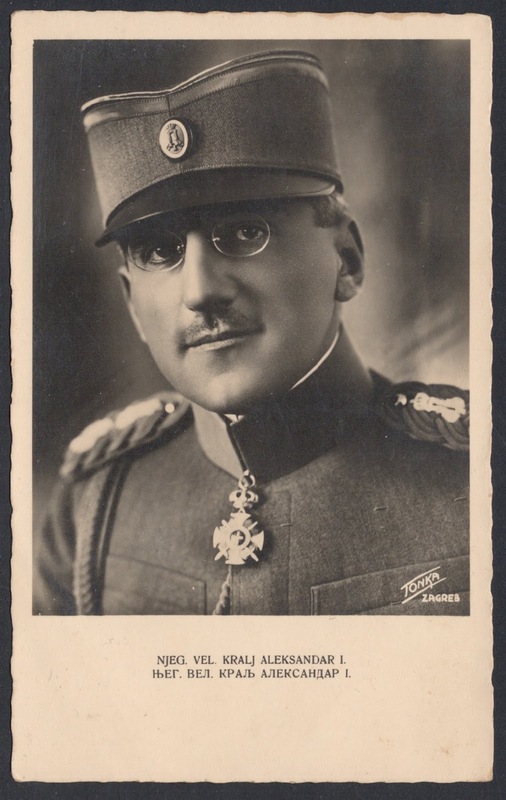 Alexander plays a part in the story around the time of the foundation of Yugoslavia, just after the Great War. 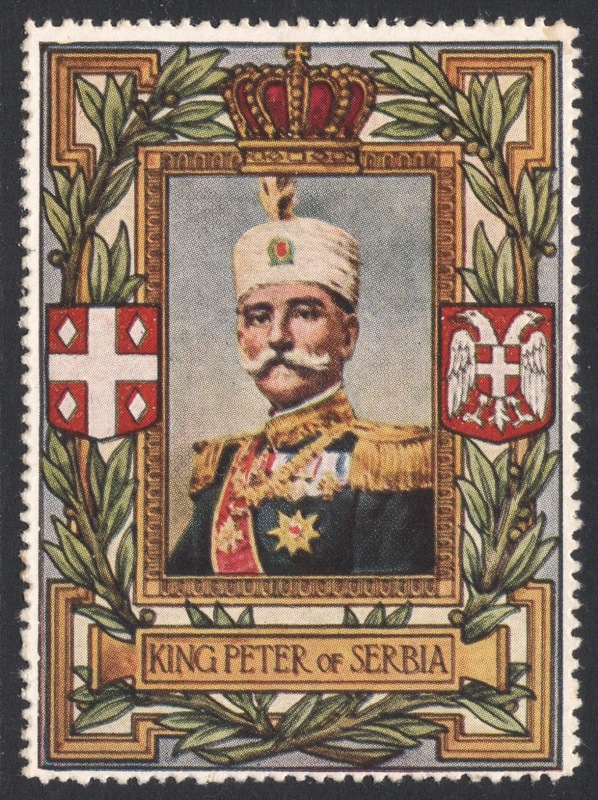 At that time his father Petar was still King of Serbia. 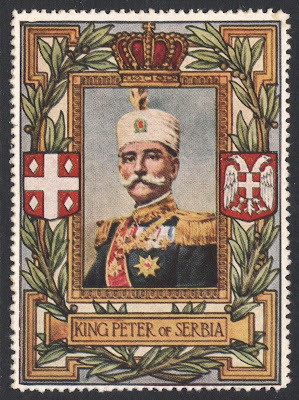 However, Petar was old and some say senile so Prince Alexander served as a regent to the country. This situation is reflected in the country’s definitives of the time, with both royals being portrayed. 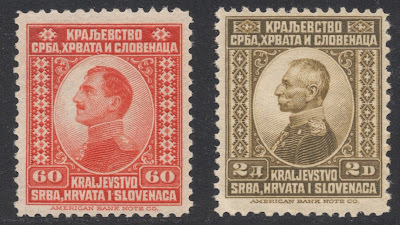 Alexander proclaimed the Kingdom of Serbs, Croats and Slovenes, as Yugoslavia was originally known, on 1 December 1918. 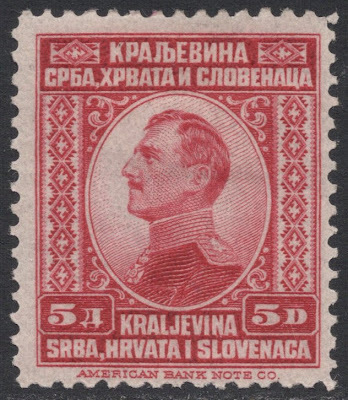 The name highlighted the problems with which the young country had to grapple from the start: most Serbs saw the new country simply as an enlargement of their own kingdom, whereas the other peoples in the deal had rather seen the name Yugoslavia being adopted, which translated as the Union of Slavs. The first definitives for the whole kingdom proudly portrayed Alexander, with the high values bearing a portrait of his father Petar. In 1921 Alexander took an oath of allegiance to the constitution. 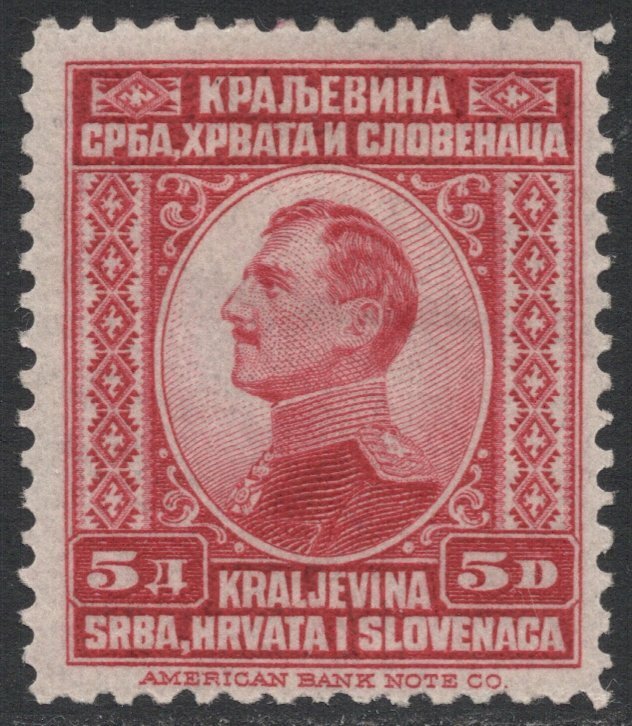 The Serbs by that time were really running the whole country, so the country’s name stayed, although the official title changed from Kraljevstvo to Kraljevina in the written constitution. 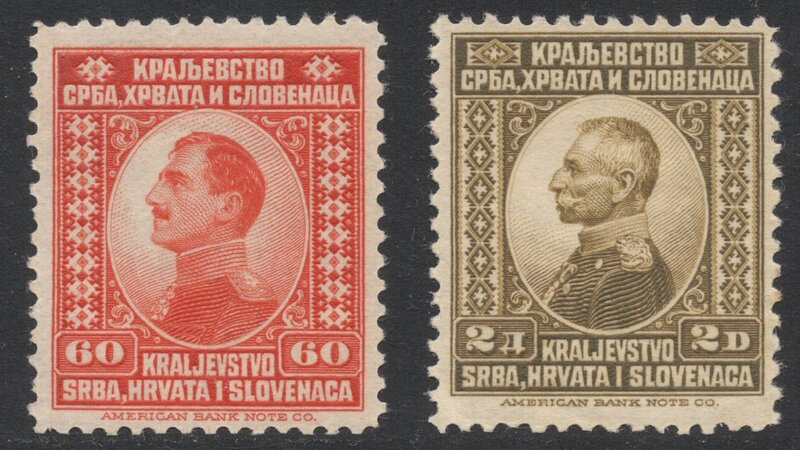 That new name was therefore included in the revamped new definitives which were issued in 1923. 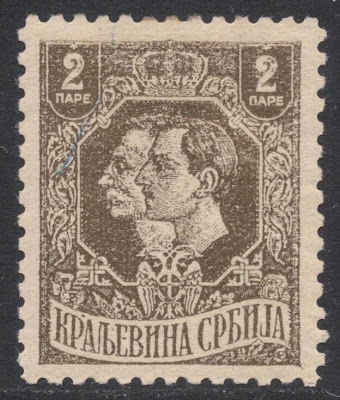 Petar had passed away by then so the new stamps portray Alexander as King rather than Prince Regent. Though you skipped Albania, my curiosity is piqued. What does Albania have to do with your stated category "peacemaking'? I am at a loss to think of what it might be. I'll tell you later, once it has been in the mag. 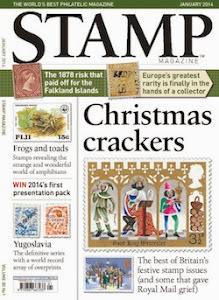 I might even do a blog on it as a sort of sideline to the feature in the magazine.